What Gwyneth Paltrow, Iman, and Victoria’s Secret models all have in common is that they rely on Sakara Life to keep them healthy, beautiful, energized, and satiated. 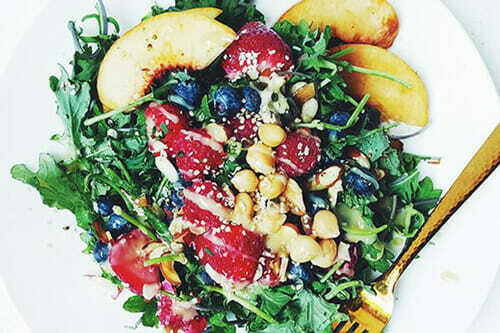 Sakara Life is one of the most famous organic meal delivery services in America. It started out as a small startup in 2012, with its creators Whitney Tingle and Danielle DuBoise cooking fresh, organic, meat-free meals in their Brooklyn kitchen and delivering them to their friends and acquaintances. Today, the company delivers its meals throughout the contiguous US and has a number of celebrity patrons who help further spread the word about this unique vegan meal delivery service. In addition to organic vegetarian and vegan meals, the company offers supplements and beauty and lifestyle products, as well as wellness programs in workplaces. Read this Sakara Life review to learn more. Sakara Life is a subscription-based vegan meal delivery service that offers a variety of meal plans to suit your lifestyle. It offers 2 basic types of plans, including Signature and Custom plans, both coming in 2 variations – 3-day and 5-day plans. With the Signature plans, you get breakfasts, lunches, and dinners for 3 or 5 days per week, plus functional beverages and detox teas. The Custom plans are more flexible and can include 1, 2 or 3 meals per day for 3 or 5 days per week. In addition to Signature and Custom plans, Sakara Life offers the 20 Day Challenge plan designed to help you transform your body, Level II: Detox plan for expert deep cleansing, and 20 Day Wedding Prep plan, designed to help brides get in the best shape of their life before the big day. 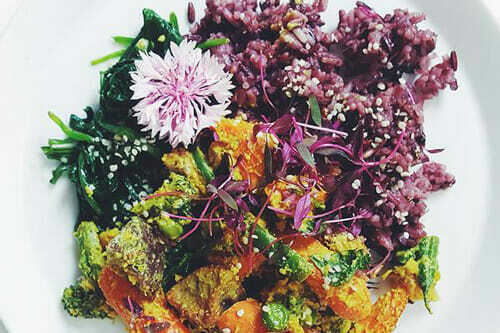 Read more about the plans in the Meals And Recipes section of this Sakara Life review. Regardless of which plan you choose, you can enrich your orders with various healthy items from the company’s Clean Boutique, filled with delicious plant-based snacks, drinks, supplements, and lifestyle items. Sakara Life subscriptions are flexible and allow you to pause or cancel at any time, with no hidden fees. If you want to pause or cancel your subscription, be sure to state your plans for the following week by Thursday at midnight PST. Being one of the rare meal delivery services that are committed to providing exclusively healthy, organic, plant-based food, Sakara Life already stands out as an extraordinary choice. It offers highly nutritive, delicious meals that you can start eating the minute you get them out of the box. The owners of the company focus on healthy living. This means that Sakara Life is not just about healthy food but also about improving your overall quality of life. 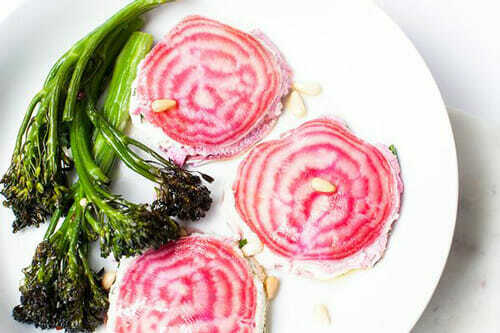 Its main goal is to show its clients that eating healthily means choosing a better, more vivacious life. Healthy nutrition is all about making smart choices and enjoying delicious meals that are good for your body. 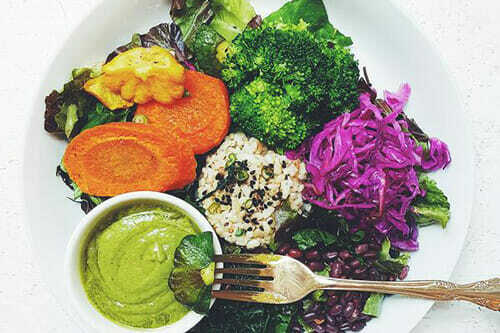 Sakara Life’s food philosophy relies on 9 pillars of nutrition. First, the company is against counting calories, as calories are a metric of energy, not nutrition. Second, it exclusively relies on healthy, plant-based protein. Third, it focuses on water-rich plants that keep you hydrated longer. Fourth, its meals are rich in nutritious greens, which help you lose weight, prevent and heal inflammation, dissolve gallstones, balance your pH, and more. Fifth, it focuses on good fats that feed the brain. Sixth, it encourages you to “eat the rainbow,” as eating differently-colored foods gives your body all the phytonutrients it needs to stay healthy. Seventh, it provides nutrient dense meals in order to prevent micronutrient deficiency. Eighth, it uses sulfur-rich foods that feed cells and mitochondria and eliminate toxins. Finally, Sakara Life believes in body intelligence, that is, it creates its meals in accordance with the belief that a healthy gut is linked to intuition and feeling connected. By keeping your gut healthy, you are building a body you can listen to. All the pillars together build a strong foundation for healthy living. To help you learn more about taking care of your body and mind, the company has created its own health and lifestyle magazine called S Life Mag. Sakara Life’s weekly menu includes 3 plant-based dishes (breakfast, lunch, and dinner) per day for 5 days per week. The meals on the menu are gluten-free, dairy-free, egg-free, low-fat, vegan, vegetarian-friendly, and they are suitable for weight loss. 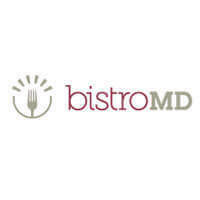 All menu items are GMO-free and organic. Some dishes can include honey or bee pollen, but if you’re a vegan or allergic to any of these, you can state your preferences and receive only those meals that meet your dietary needs. Like we stated previously in this Sakara Life review, there are 5 meal plans to choose from: Signature, Custom, 20 Day Challenge, Level II: Detox, and 20 Day Wedding Prep. Signature and Custom plans are standard 3-day and 5-day plans that mainly differ in flexibility. With the Signature plans, you always get 3 meals per day and each meal is accompanied by a beverage. With the Custom plans, you choose both the number of days per week you want to enjoy Sakara Life meals (3 or 5) and the number of meals per day (1, 2 or 3) you want to receive. The beverages are not included in the Custom plans. The 20 Day Challenge plan includes 4 consecutive weeks of Sakara Life meals, a 10-day supply of the company’s all-in-one supplement, unlimited access to YogaGlo online yoga classes, a gift card for a pair of Outdoor Voices leggings, a calendar for tracking your progress, and access to exclusive content from Sakara Life’s favorite yoga teachers. You can choose to receive 2 or 3 meals per day for 12 or 20 days (3 or 5 days per week). The Level II: Detox plan is a 5-day plan that includes breakfasts, lunches, dinners, probiotics, supplements, beauty and detox water concentrates, digestive tea, and bonuses like instructional guides and daily support from certified health coaches. This program provides for a deep-level detox by eliminating meat, dairy, gluten, all sugar, nuts, soy, nightshades, pesticides, harmful chemicals, GMOs, toxins, alcohol, and caffeine. Finally, the 20 Day Wedding Prep plan includes fresh, organic, plant-based breakfasts, lunches, and dinners, as well as daily functional waters and teas for cell hydration, pH balance, and deep detox and skin rejuvenation. If you want to get some extra items, you can browse the company’s Clean Boutique, which features clean snacks, bars, chocolates, cookies, teas, probiotic blends, and beauty and detox water. The prices of Sakara Life meal plans mainly depend on the number of days per week and the number of meals per day you choose to receive. The prices may further vary depending on your location. The 3-day Signature plan costs $239 per week, with 3 meals and drinks per day included. The 5-day Signature plan with 3 meals and drinks per day costs $349 per week. The 3-day Custom plan costs $80 to $255 per week, depending on whether you choose to receive 1, 2 or 3 meals per day. The 5-day Custom plan ranges from $119 to $410 per week. With the 20 Day Challenge plan, you pay $955 for 12 days including 3 meals per day for 3 days per week and $1,395 for 20 days including 3 meals per day for 5 days a week. The 5-day Level II: Detox plan costs $400. The 20 Day Wedding Prep plan costs $1,395. Keep in mind that these are the prices of subscriptions (recurring orders). If you opt for a one-time order, additional costs may apply. Items in the Clean Boutique can cost anywhere between $9 and $95. Orders over $100 come with free standard shipping. Like most meal delivery companies, Sakara Life ships its food all over the contiguous United States. Hawaii and Alaska aren’t covered, unfortunately. It’s important to mention that the company’s offer can differ depending on the area you live in, so it’s a good idea to check on Sakara Life’s official website what a weekly menu for your state or town looks like. It’s very simple, all you need to do is enter your zip code and get all the information about the programs and menus. You can receive your healthy meals from Sakara Life only Monday through Friday since the company doesn’t deliver on weekends. To make sure Sakara Life meets all your standards and expectations, it is important to know its biggest advantages and disadvantages. With a short overview of its pros and cons, you can easily decide if Sakara Life is the right meal delivery service for you. With Sakara Life, you get delicious meals prepared by pro chefs at affordable prices. To find out what kinds of delights you will receive in your delivery, we have chosen a couple of sample dishes that accurately represents its offer and can help you decide if it is the right service for you. While doing research for this Sakara Life review, we were happy to learn that Sakara Life offers plant-rich, organic meals that are ready to eat the moment they’re delivered to you. There are plenty of meal plans to choose from, the meals are vegan, vegetarian, and allergy-friendly, and everything is completely natural and healthy. The revolutionary lifestyle that Sakara Life has introduced can bring balance to your nutrition, health to your body, and harmony to your mind. Eating properly, as they say, should be a lifestyle. Sakara Life can help you embrace it. Our ratings are the result of an objective and independent evaluation of Sakara Life, generating the final rating that reflects the overall quality of the company. Ratings may change as the service changes. Sakara Life customer rating based on 3 customer reviews. 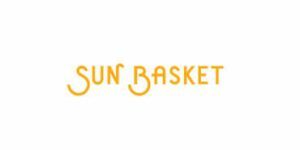 We found 1 verified Sakara Life discount for April, 2019. 15% Off Free delivery and up to 15% off for subscribers at checkout. Sign up and we’ll let you know about future Sakara Life promo codes. Discover more companies like Sakara Life with our curated selection of Sakara Life alternatives. 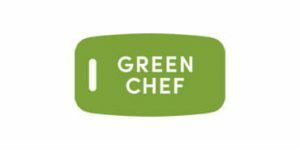 Whether you’re looking for an organic, vegetarian or gourmet meal delivery service, Green Chef has you covered. It delivers pre-portioned ingredients and chef-created recipes to your doorstep whenever it suits you the most. You can enjoy great flexibility, eat a healthy diet, and help save the planet too. Read this Green Chef review to learn more. If you like Sakara Life but aren’t sure whether they are truly the ideal choice for you, you may want to take a look at our comparisons below to discover if one of their competitors is more suitable for you.